Everybody loves a classic, whether it be a film, an old vinyl record or in this case an automobile. Around the early to mid-2000s, automakers had retro fever. The New Beetle was put into production, Ford produced the Thunderbird again, and Dodge even crafted an all new Challenger harkening back to the days or yore. Chatter amongst the industry immediately surrounded the big question: classic designs, or modern interpretations? MotorTrend‘s Generation Gap pits classic autos against their modern day counterparts every other Tuesday, and this week’s episode is a bit interesting. In one corner we have the nostalgic 1968 Pontiac Firebird packing its red arrowhead specific 350 cubic inch motor, tweaked from the Chevrolet version. 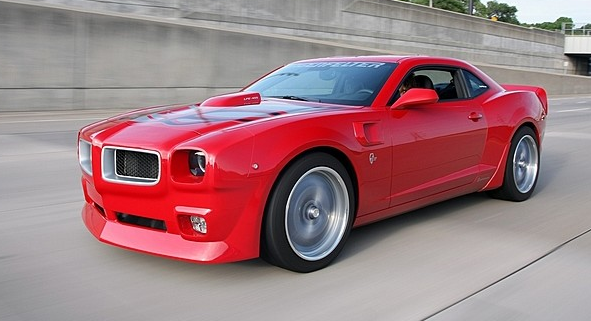 In the opposing corner, we have what Pontiac surely would have graced fans with if General Motors’ restructuring hadn’t taken them all too soon, the 2010 Chevrolet Camaro-based Lingenfelter Performance Trans Am (AKA the Lingenfelter TA). The ’68 Firebird has time on its side. It’s shapes and lines have aged better than the finest bottle of champagne your money could buy, and the time specific Verdeo Green brings onlookers back to a different time period all together. The 320 hp from the Pontiac 350 motor makes for no slouch, and creates a delightful burble from the exhaust for the driver to enjoy all the way to the local classic car show. On the other hand, the LPE Trans Am does its part. It captures the spirit of Pontiac performance with appropriate looks, and power. From the Trans Am striping, to the functional shaker hood, all the way to the modern interpretation of the honeycomb wheels, the LPE Trans Am oozes passion. And while it’s busy oozing passion, it simply exudes power. The LSX LPE tuned 455 produces an incredible 655 hp. Oh, and that’s with no help from forced induction either. The LPE Trans Am makes the case for being much more than a fifth generation Camaro with a body kit. The battle is decided on five categories: Performance, ease of ownership, collectability, looks and passion. Both hosts make their case for their favorites, and ultimately decide the winner of the battle after defending each car and its attributes. Scroll below to watch the face off for yourself, and let us know what you think: classic hustle, or modern day muscle?